Sometimes there are jobs that we really enjoy working on and we do so, designing quite happily without looking beyond the project in hand. So its then an extra big bonus when this work gets awarded by a panel of highly regarded judges, recognising its success in its sector. Our design work for Trail Kilkenny ticked this box, having been recognised as a finalist in the ‘Best Design in Tourism’ at the 2015 Irish Tourism Industry Awards. And we were really thrilled! This design category was added to these inaugural Irish Tourism Awards, in conjunction with Ireland’s Year of Design to recognise the important role of design in the tourism sector and its links with business success. 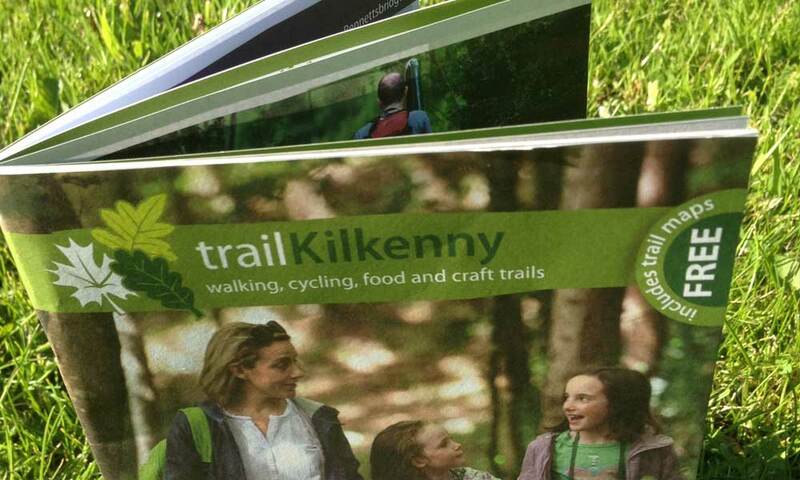 We’ve been working with Trail Kilkenny for a good few years now, expanding on their brand through marketing crafts, food, walking and cycling trails as well as branding the Kilkenny Trails Festival, Harvest Picnic and designing the Trails website. We can’t take all the credit though, many other companies and groups played important roles in building the Trail Kilkenny product and collectively we can all take a proud bow to have made it to the final 5 in these awards. We were also in very good company in our category, sharing a table on the night with The Cliff House Hotel (fellow finalist) and the overall winning award went to Inis Meain Restaurant and Suites.